Today I am SUPER excited to share with you that The Sunday Showcase is now being hosted on SIX blogs, including mine! 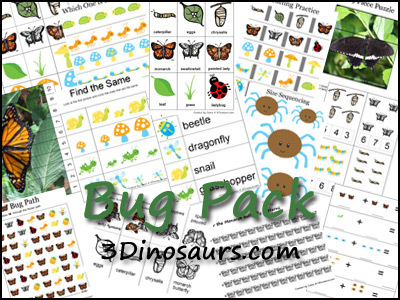 3 Dinosaurs has an awesome FREE Bug Pack, which contains over 70 pages! 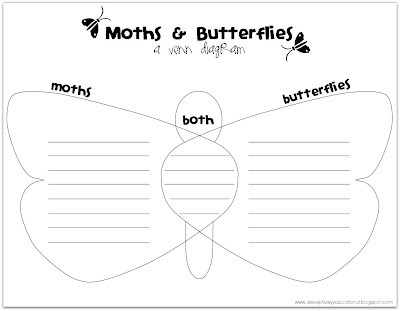 Relentlessly Fun, Deceptively Educational shared this Moths & Butterflies Venn Diagram! Visit her post to download the pdf. There's also a great book to go alongside the activity. I love this handprint/footprint firefly craft and storytime by School Time Snippets. We definitely need to invest in some glow in the dark paint around here! Love this Bugs in the Grass sensory bin from We Can Do All Things. Green spaghetti for grass--such a great idea! Z is for Zel created a Bug Bath for her little boy and it looks like it was a huge hit! A great way to talk about colors and bug names, too! 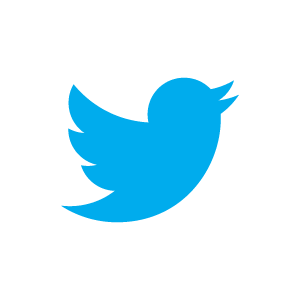 Thanks for joining us and I look forward to seeing what you've been doing this week!